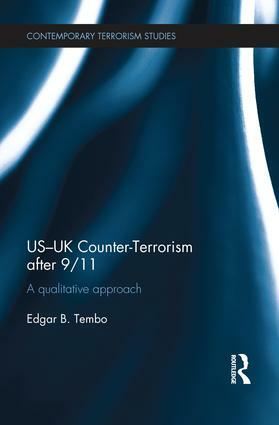 This book provides a qualitative analysis of post-9/11 counter-terrorism strategy undertaken by the United Kingdom and United States of America. Since 9/11, both the UK and the U.S have significantly revamped their counter-terrorism approaches. The approaches apply, to varying degrees, three key policy instruments – intelligence, law enforcement and military force. However, the success or failure of these counter-terrorism strategies has never been satisfactorily validated. Analysts and policymakers alike have assumed success due to the inability of terrorists to conduct 7/7 and 9/11, respectively, scale attacks upon each state. This assumption has existed despite the fact that it fundamentally underestimates the impact of transnational terrorism. This volume provides an in-depth qualitative assessment of the three primary policy instruments implemented to counter the transnational threat of terrorism during the period 2001-2011; an approach somewhat neglected by the current body of literature which focuses on a purely quantitative methodology. Drawing upon previously unpublished data collected from interviews with policymakers, specialists and academics, the book fills this lacuna by ascertaining and analysing both the UK’s and USA’s counter-terrorism strategies and developing a holistic approach to understanding these strategies. This book will be of interest to students of terrorism and counter-terrorism studies, security studies and IR in general. Edgar B. Tembo isSenior Lecturer and Programme Leader for Politics and International Relations at University of Chester, UK.